The ATIM Cloud Wireless® connected range multi purposed and adjustable to adapt to your applications. 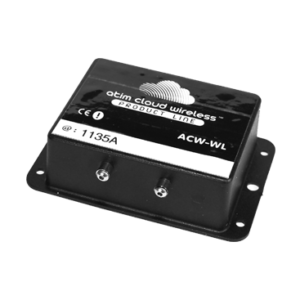 The ACW sensors offer a complete M2M and IoT solution bringing a very simple installation and a real time data monitoring. In local mode, Modbus Master or Modbus Slave, or connected to Internet via the Sigfox or LoRaWan network, our radio products will easily adapt to your architectures. The ACW-TH sensor allows you to report a temperature and humidity value. The transmission is done on a regular basis or by alert. The ACW-DI is adapted to report a water or electricity consumption. There is a certified ATEX version for gas meters as well. The emission is done on a regular basis depending on the configured interval. Equipped with a PT100 temperature sensor, the ACW TM1 will allow you to measure the ground temperature with a deported sensor of a few meters. The ACW-TMxD will allow you to report up to two temperature sensors. This sensor benefits from a better resolution but less cable to deport it. Supervise temperature and humidity in a room (buildings, public spaces, ect…). Gateway that enables to send local 868 MHz messages towards the Sigfox network. Reporting a digital input towards an output in mirror or Modbus mode. The Atim Cloud Wireless® platform is a secured web page that manages and exploits the Atim Cloud Wireless® products data. For you and your final customers, the web platform is adapted to your applications. The hierarchical pattern allows you to manage your customers as you want. Thanks to the different Internet of things (IoT) networks like Sigfox or LoRa, the data can be found on the ATIM cloud or on your own server straight away.